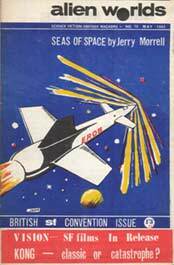 Issue 1 through 9 list Tony Edwards and Tom Holt as co-editors. 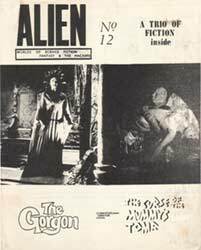 Issues 1 through 13 were quarto size, duplicated; some of these issues had lithographed covers and/or a few lithographed interior pages. Issues 14 and 15 were A5 and lithographed throughout. 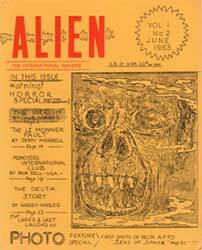 The binding seen on some issues below is the famous “Tony Tape”. For full details of this essential fannish accessory, see the story by Bill Burns in the supplement to Peter Weston’s book. 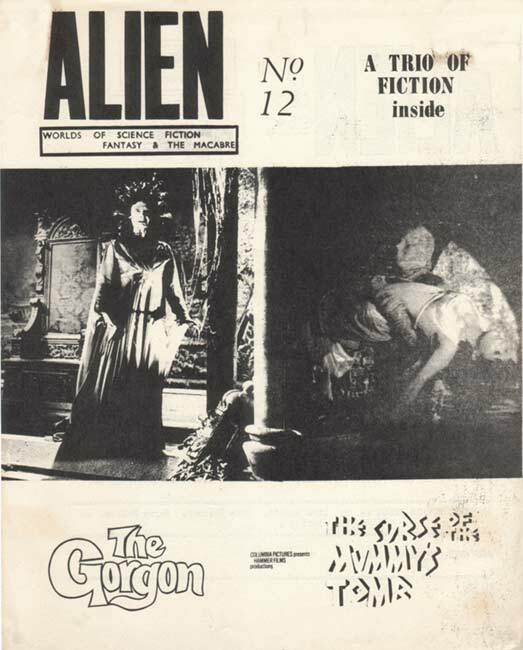 Issue 11 had two covers. 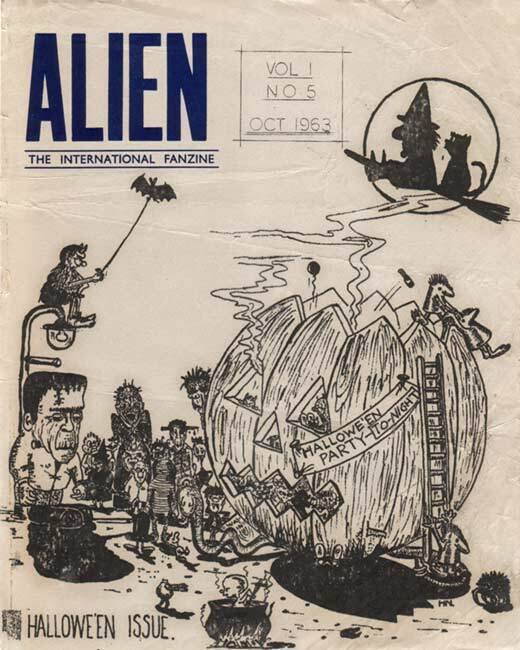 Originally planned as the front cover, Mike Higgs’ Halloween artwork was bumped to the back cover when movie stills for First Men In The Moon were received shortly before publication of the issue. 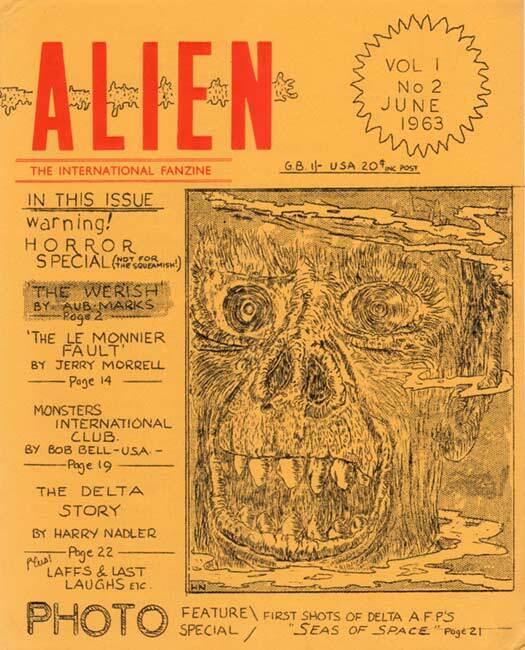 Mike’s art had already been printed on logo stock. Both covers are shown below. 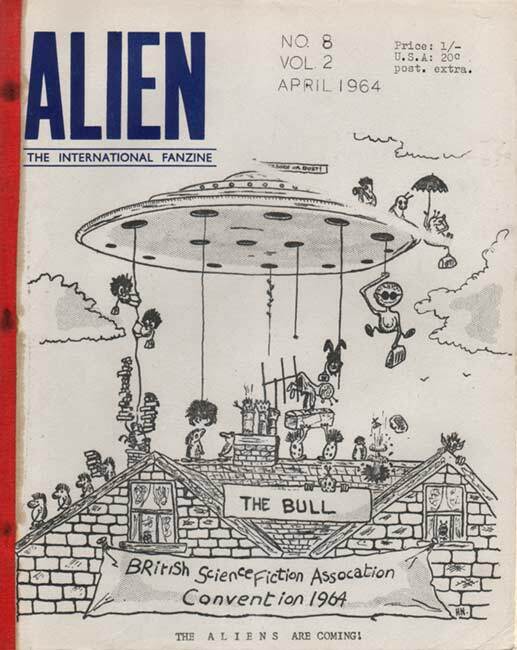 Issue 15 was published for distribution at the Birmingham Eastercon in 1965; at the con Harry and Chuck talked to a number of authors and artists about producing a professional magazine with full-colour cover and interior illustrations. 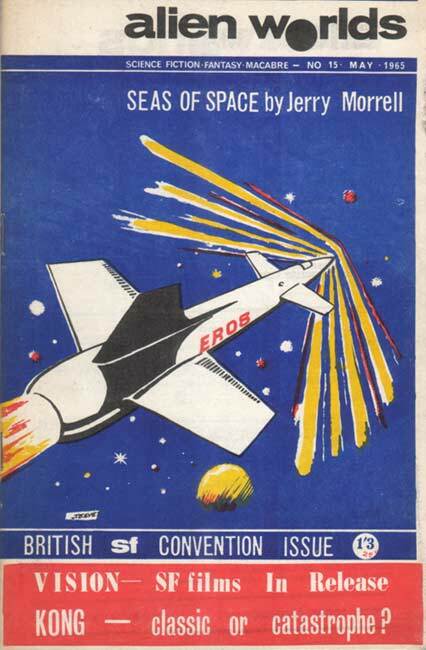 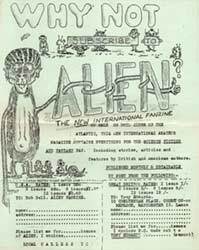 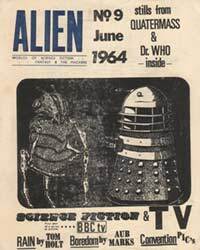 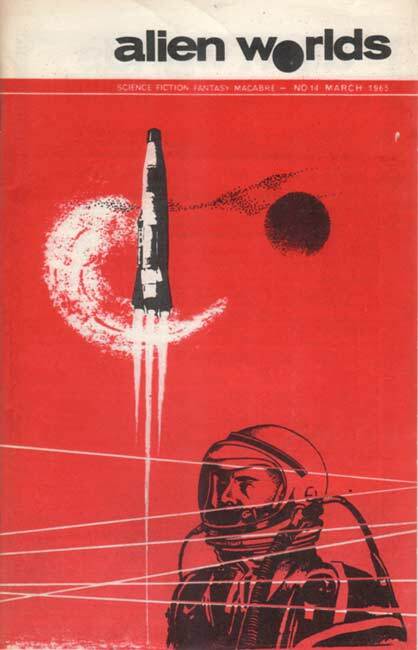 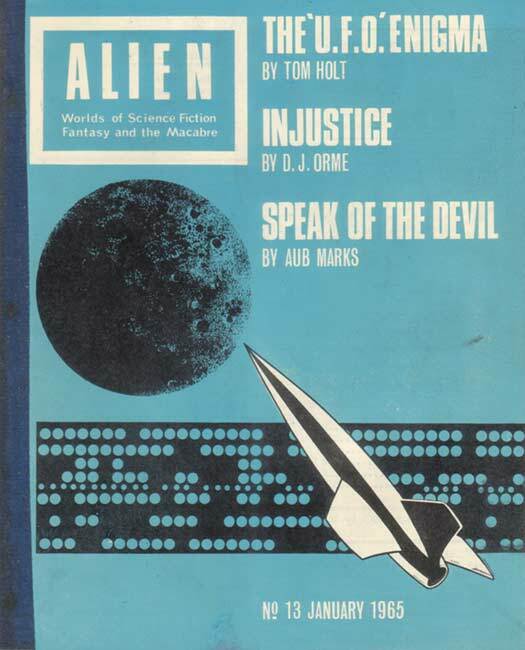 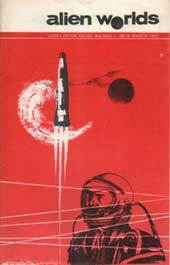 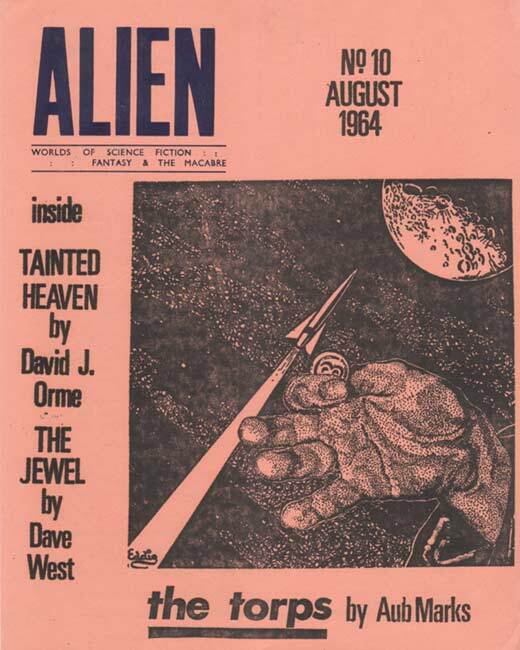 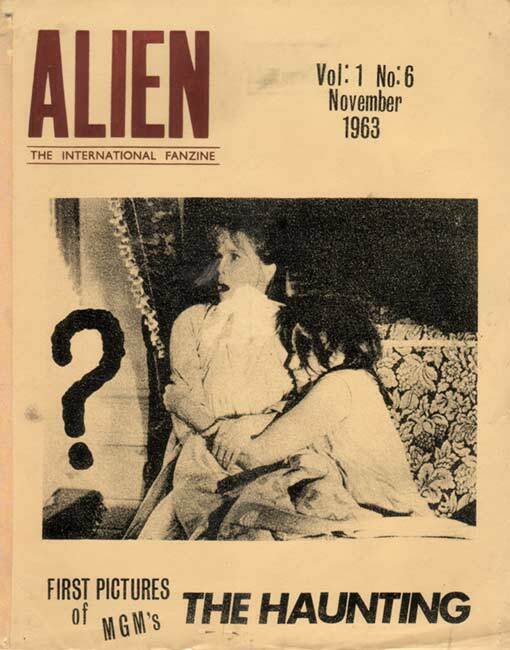 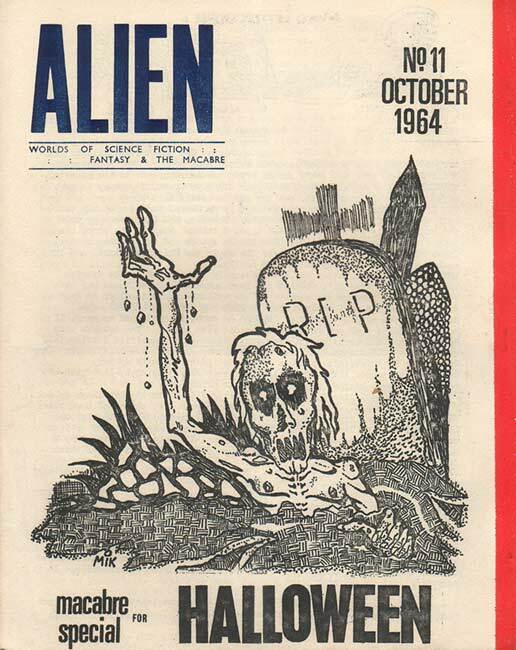 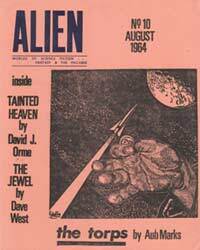 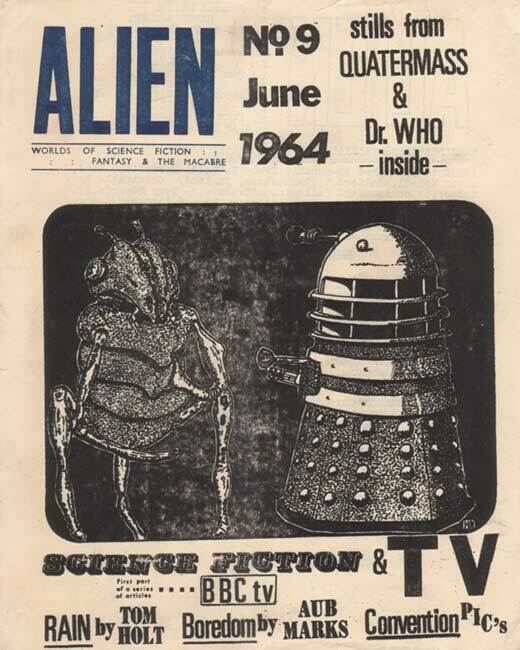 Encouraged by the support they received, but with seriously inadequate funding, Alien Worlds the prozine was planned, with issue 1 eventually appearing dated June/July 1966. 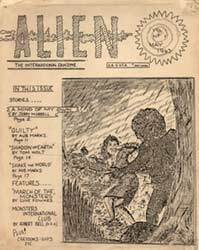 Alien Worlds is the new Science Fiction and Fantasy magazine to be published at the end of July this year. Aimed at brightening the current British SF scene all artwork in Alien Worlds is reproduced in full colour offset-litho. 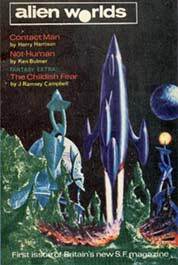 Harry Harrison’s Contact Man and Ken Bulmer’s Not Human are both action packed SF stories of the kind we have always enjoyed from these top authors. 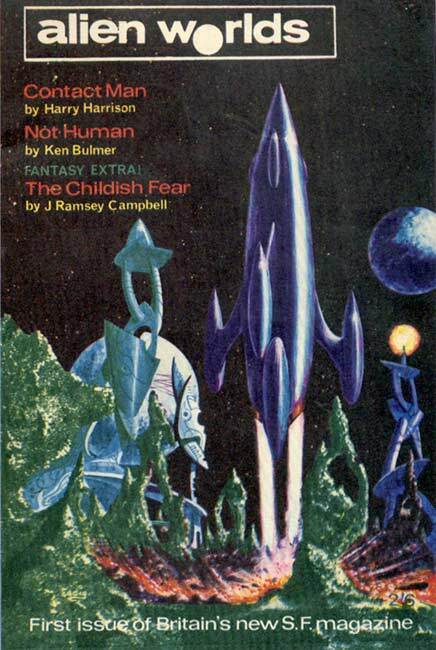 J. Ramsey Campbell’s fantasy contribution, The Childish Fear, exudes a growing sense of horror in the true tradition of Lovecraft. 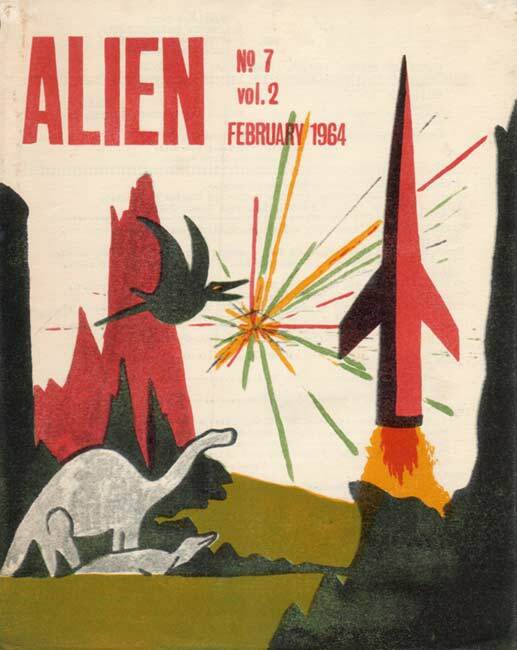 Movie fans will delight in the Flash Gordon item, lavishly illustrated by some large rare stills from the classic serial of 1936 with Allan Asherman providing the story line and analysis. 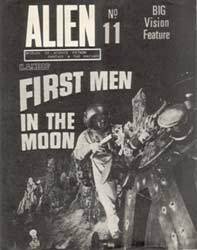 The film section also carries latest information on the latest SF films in production. 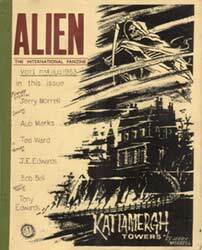 A column by Ken Slater, one of the best SF book reviewers in the business, provides a guide to the latest in print. 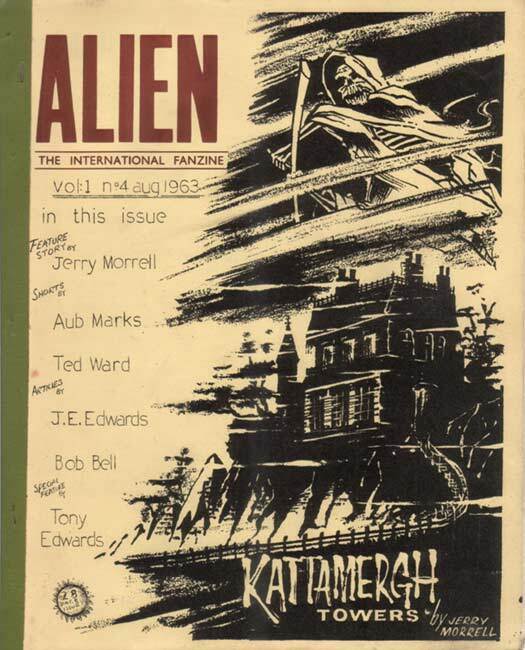 Combine all this with the excellent artwork of Eddie Jones, Terry Jeeves and a newcomer of whom you’ll be seeing more, Jack Partington, and you have a magazine that’s bright, enjoyable and interesting. 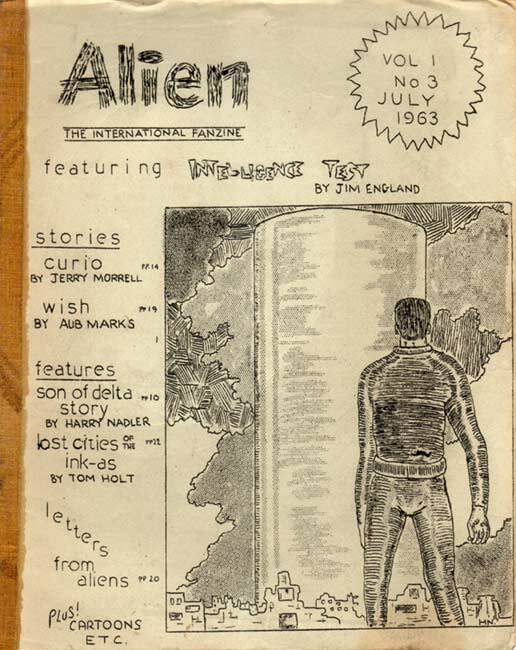 Continuing lack of funds meant that this was the only issue of the prozine, and the end of Alien/Alien Worlds. Thanks to Robert Lichtman for the Alien Worlds prozine cover scan. 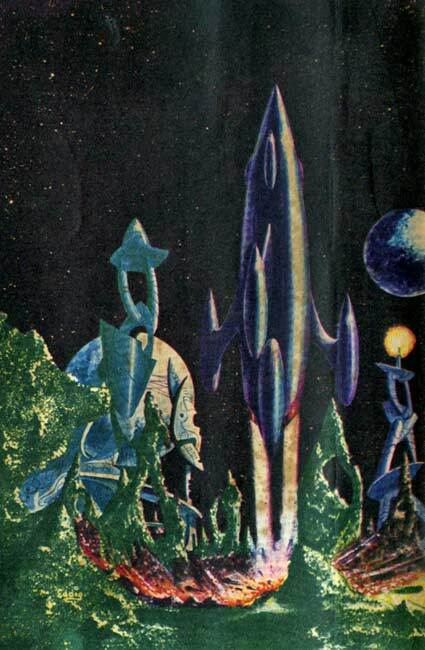 All cover art copyright © 2004 to the original artists.